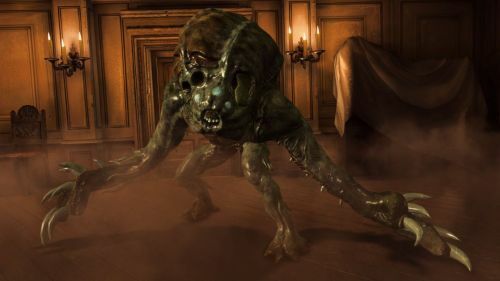 We've been following rumors of Resident Evil: Revelations coming to Xbox 360 since November last year, and those rumors have finally turned to fact. Resident Evil Revelations: Unveiled Edition is officially coming to Xbox 360, Playstation 3, and Wii U on May 21st. it will bring enhanced visuals, a new harder difficulty, a new enemy, and lots of enhancements to the co-op Raid mode. Could this be the Resident Evil game console owners have been clamoring for? 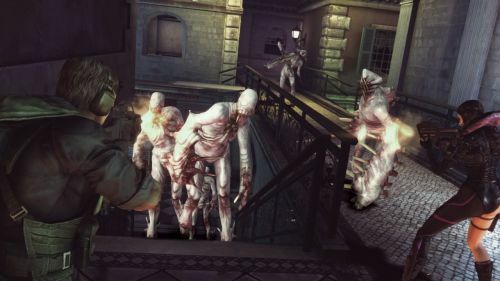 Capcom didn't go into much detail about how Raid mode will work on 360 and Playstation 3. Online is basically a given, but we still wonder about system link and split-screen functions. At least the already expansive mode will be even better than before. New weapons, customizations, and another playable character: Hunk should keep Raid mode interesting for even experienced 3DS players. Plus, there will be lots of co-op Achievements. Before the announcement, distribution and pricing were up in the air. Now we know the game will launch via retail for all three consoles at the price of $49.99. Digital versions for PC (Steam?) and Playstation 3 will appear at the same time, while Xbox 360 and Wii U get download versions a little later on. Some might decry the relatively high pricing for a port of an existing game, but given the 3DS's comparatively smaller user base, Revelations will be like an all-new game for many players. Resident Evil Revelations: Unveiled Edition is due out on May 21st. We'll have more details as they appear!